With a sleek profile, large windows and durable construction, the Cartagena Luxury Yacht offers an unparalleled sailing experience. 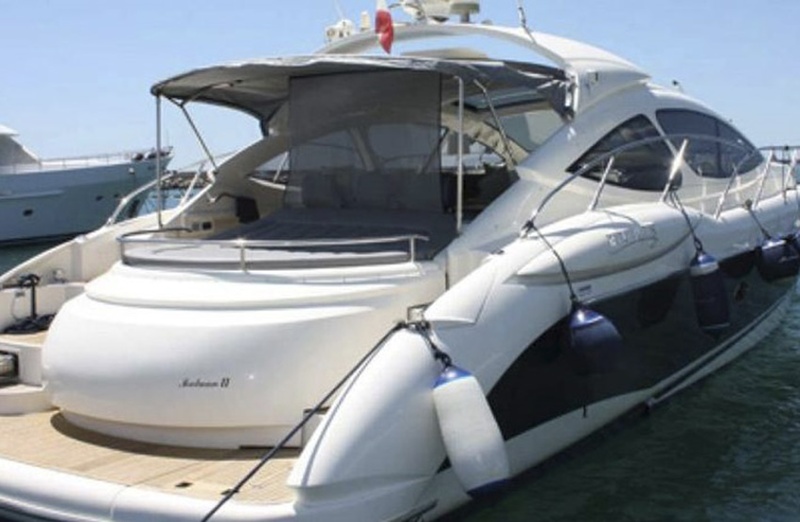 From Azimut, one of the most prestigious international brands, this 20 passenger vessel is known for its advanced technology, innovative design, and quality materials. The watercraft is the epitome of sophistication, with great attention to detail and a wide range of amenities for guests to enjoy. For the ultimate in comfort and entertainment, go with the yacht that has it all. The exterior of the Cartagena watercraft is easily identifiable by its elegant design, stylized lines, and spacious accommodations. Enjoy lounging on the deck, sunbathing, or simply sitting back in a plush seat as the boat cruises down the open water. For fun or relaxation, you want a mode of transportation that has the looks, features and amenities you just can’t find anywhere else. From the striking exterior to the modern furnishings and updated designs, the Luxury Yacht is a little piece of paradise. Inside the vessel guests will have access to a spacious and comfortable sitting area, with wrap around couch, table, and multi-media options. Recessed lighting gives the passenger compartment a luxurious glow, while the wood floors create an upscale feel. The bedroom provides sufficient storage space and a unique round bed for resting. After a long day of cruising and engaging in your favorite water sports, head back to the bedroom area for a peaceful sleep. When nice weather arrives, take the time to enjoy the warm water in a spectacular boat. The watercraft features a new design that lets a generous amount of natural light flow into the cabin area, creating a home-like feel. If you’re looking for the perfect vacation activity or are celebrating a special event with a small group of friends, the Cartagena Luxury Yacht is the perfect vessel for all occasions. The power of the Cartagena Luxury Yacht is unsurpassed for a boat of this magnitude. The yacht contains three engines, each with 435 horsepower with the ability to reach speeds of up to 36 knots. 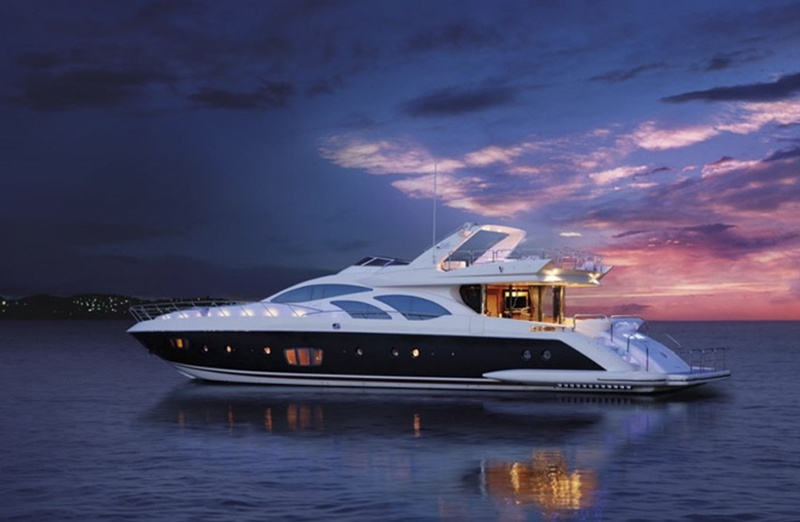 The Cartagena Luxury Yacht is available for rent by the hour, day, or week. 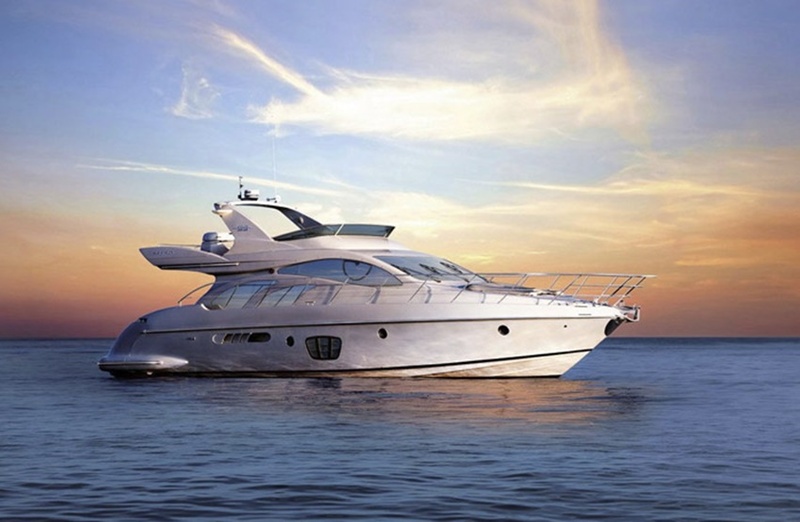 The rental price of the yacht includes more than just the boat itself. You will also receive your own personal pilot, helper, and fuel. Everything you need is on board to ensure that the on sea excursion is as comfortable and relaxing as possible. Just bring your favorite beverages and a few friends and you’re ready to go yachting. The Cartagena Luxury Yacht features luxurious features throughout. The interior is fully equipped with air conditioning to keep you and your passengers cool on even the hottest days of the year. Once inside the interior of the yacht, you’ll discover many lavish features from the finished teak wood to the state-of- the-art navigation equipment. The yacht also contains the latest generation radar, plasma TV, dinghy, a kitchen with high-level appliances, shower aft, and comfortable armchairs and tables in both the bow and stern. The high-end furniture throughout reflects the quality standards of the brand. Who doesn’t want the opportunity to sail across the Caribbean in a beautiful yacht? Whether you need an activity to fill up your day or are celebrating a major milestone in your life, cruising in the Cartagena Luxury Yacht is one of the best ways to spend a few hours. The yacht acts as a private party paradise with plenty of space for you and all of your guests to spread out and enjoy the ocean breeze. 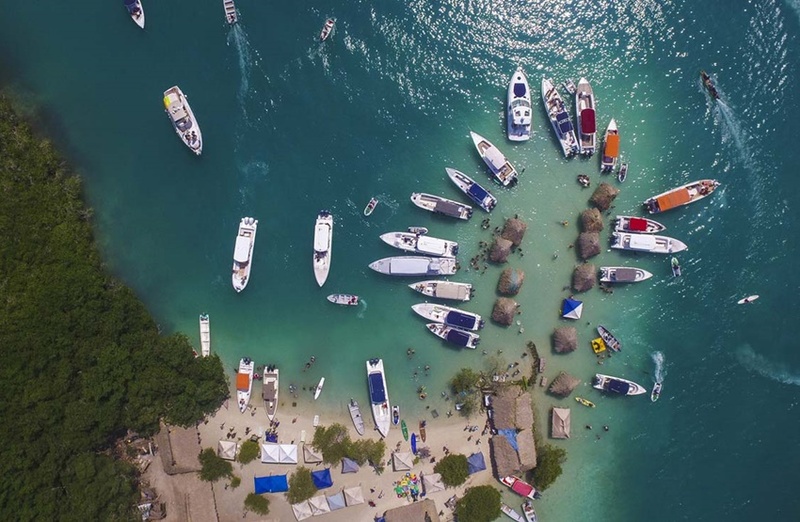 As Cartagena is located outside of the hurricane belt, it is a safe harbor for boats with access to moorings and services. 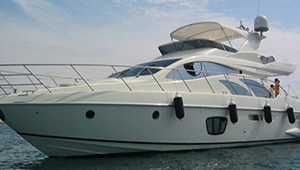 Boating in Cartagena can be a magnificent experience with the right boat. The Cartagena Luxury Yacht offers all of the amenities and lavish furnishings you need for a relaxing stay on the water. The friendly and knowledgeable crew will do their best to make your time on board fun and peaceful. You’ll also have the opportunity to see the local landscape and possibly stop at one of numerous islands around the Cartagena area. If you want the unique opportunity to experience yachting near beautiful Cartagena in the country of Colombia, take the time to reserve the Cartagena Luxury Yacht.